New Pups Join Our Rescue! We would like to give a very big welcome to three new Minnesota Pitbull Rescue pups! Crash, Igor, and Queenie all came from MACC in the past few days. 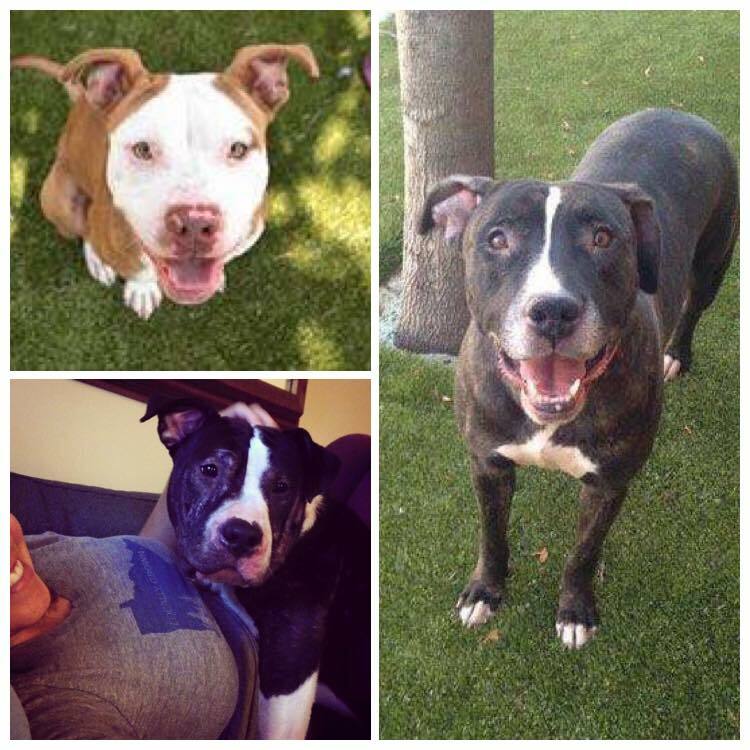 Thank you to all the fosters who stepped up to save these beauties. Visit www.mnpitbull.com to learn more about adopting any of our dogs. 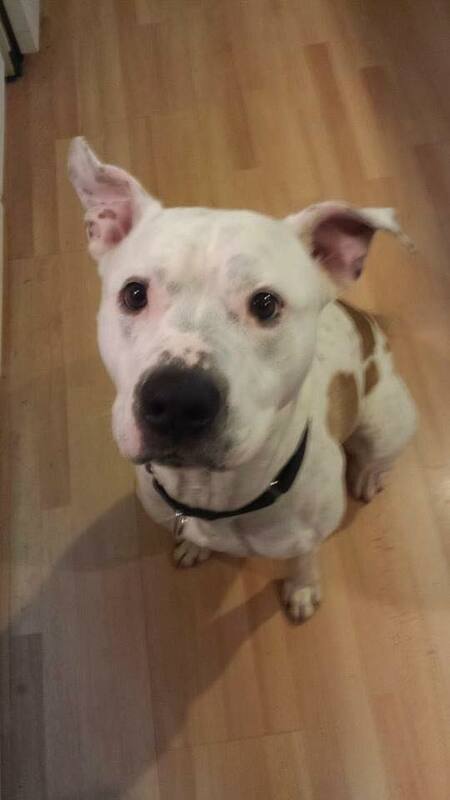 Our pal Dudley needs a foster immediately! Can you help out? Fostering is absolutely free. We give you all the supplies you need! All you need to do is share your home along with love, leadership, and training for this lil' guy. 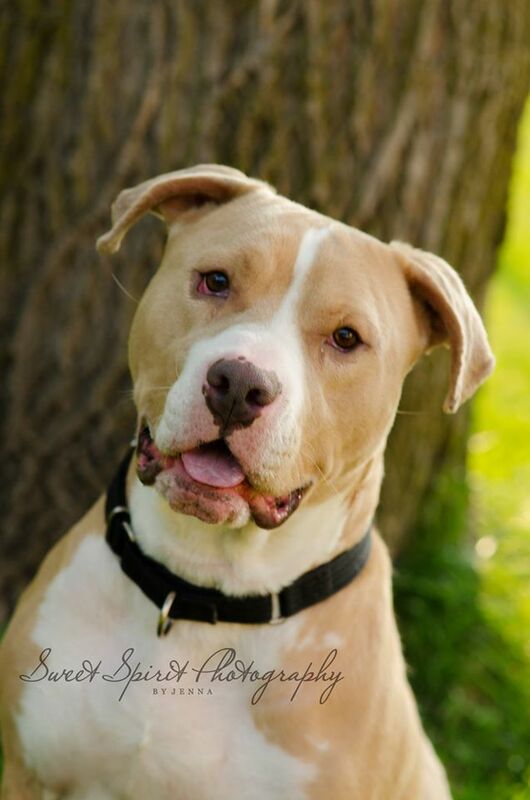 If you can help, please email lgray@mnpitbull.com. 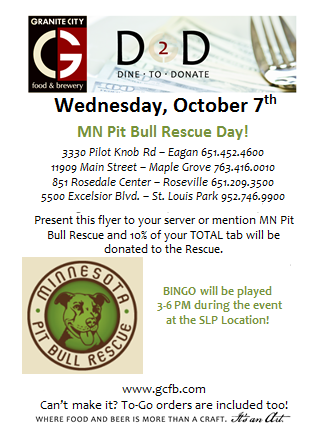 Granite City Food & Brewery presents: MN Pitbull Rescue Day! 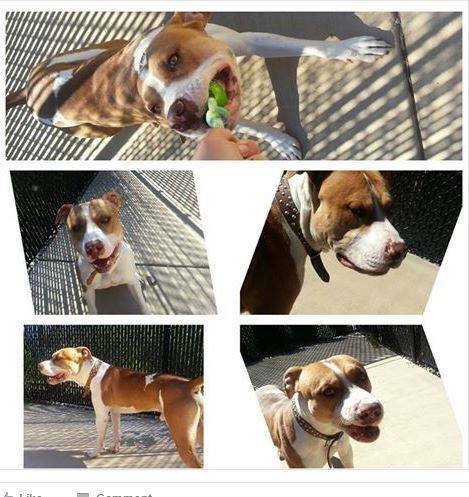 This guy is in a local impound and needs a foster home to get out. He is 3 years old. Can you help out? Email Lgray@mnpitbull.com if you can help. We are excited to announce our September dog of the month!! Meet Orlando! His adoption fee is waived during the month of September. He is a sweet boy looking for his furrrrever home!